Organizers have decided to bump a couple of the race dates to allow for the forests to dry a bit and to get some logs cut to make it a "little" bit easier for you to get around! 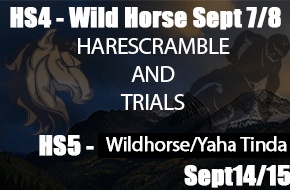 HS5 - Whispering Pines RELOCATED TO same location as Sep 7-8 race (Yaha Tinda Road near Mountain Air Lodge west of Sundre), Sept 14/15th! Also another event for the Chris Bonneau Memorial Team Bump Race is Slated for Sept.21/22! With the bump race on the sunday Sept 22 on the Harescramble track we used at the first race!